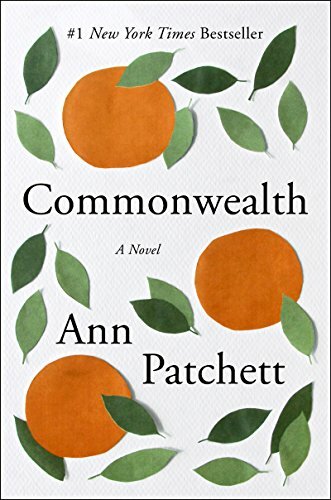 I must confess, Ann Patchett is one of my all-time favourite authors – so I had high expectations when I opened the first page of Commonwealth, her latest novel. And it didn’t disappoint. From the very first scene, I was hooked. When Bert Cousins turns up, uninvited, to the christening party for Franny Keating, the lives of 10 people change forever. But on that Sunday afternoon in Southern California, as the guests become increasingly drunk on vodka screwdrivers, Bert impulsively kisses the beautiful, seductive Beverly Keating – mother of Franny and wife of his host, Fix Keating – without concern for his own pregnant wife and his three young children, waiting at home. This fateful event sets in motion the decline of both their first marriages, and throws together the two families in a new blended arrangement. The six children spend their carefree, largely unsupervised, summers over in Virginia, with Bert and Beverly – until tragedy strikes, and their lives are again upended. Fast-forward 20 years, and Franny is working in a Chicago cocktail bar after dropping out of law school. An avid reader, she is enthralled when the famous author Leon Posen winds up drinking at the bar. Leon lures Franny to Iowa, where their relationship flourishes. Leon is struggling to find his ‘next big idea’ for another book – and is captivated by Franny’s stories of her childhood. Franny unwittingly describes the twists and turns in the lives of the Cousins and Keating families, revealing the tragedy that inspires Leon to write a best-selling novel, also called Commonwealth. In time, one of her siblings reads the book, and discovers his own complicated story in print. Ann Patchett writes skilfully and perceptively about life in blended families, and the shifting family dynamics between siblings and parents, regardless of whether they’re blood or step relatives. Her prose is light and easy to read, yet precise and insightful. The storyline moves effortlessly between time periods and characters – and as it says on the back cover, is “told with equal measure of humour and heartbreak”. More than once, I had to reach for the tissues – not for big dramatic scenes, but for beautifully poignant lines in the book, which really packed a punch. Commonwealth is an absorbing family saga, with a credible inclusion of dysfunctional members. It makes you ponder the ‘what ifs’ – those sliding door moments in life, where one single event can change the course of a lifetime for many people. It’s also about the power of stories, and whether we have the right to share those stories, when they belong to other people. If you haven’t yet discovered the pleasure of immersing yourself in an Ann Patchett novel, then this is a great place to start.